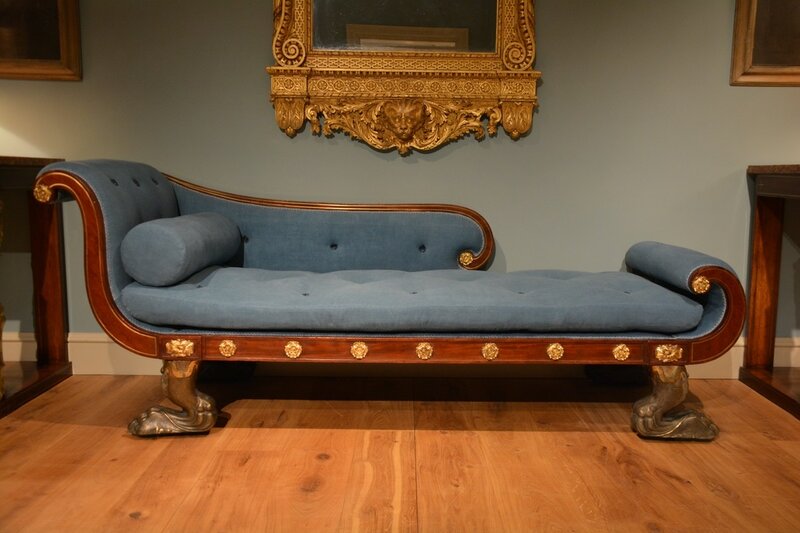 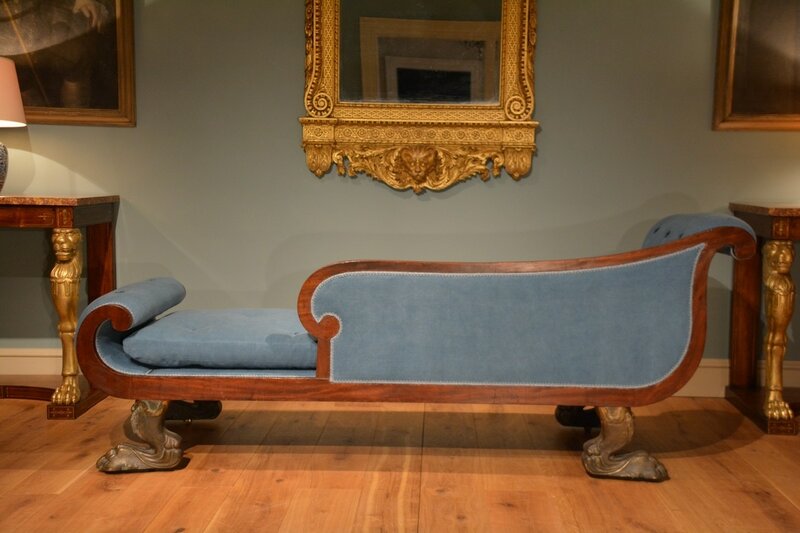 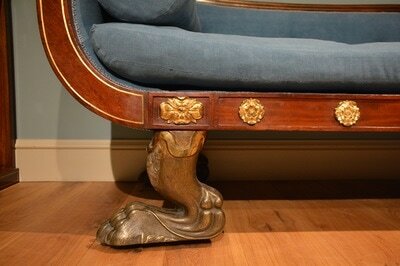 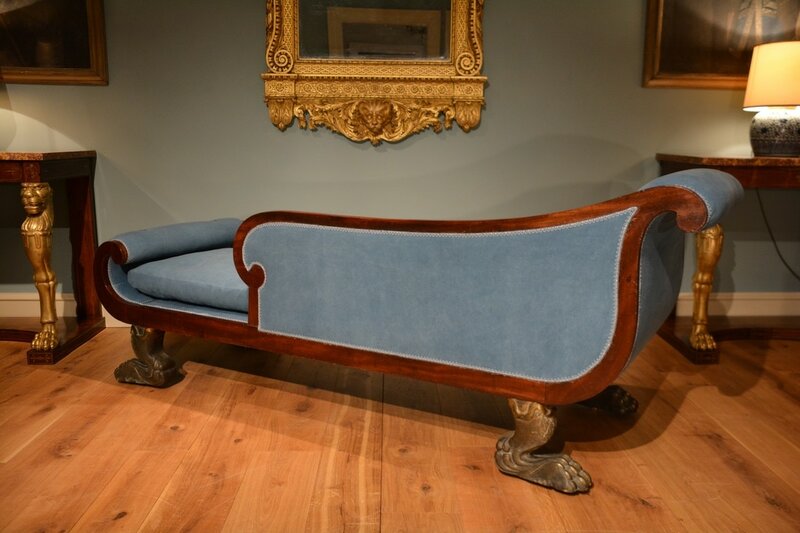 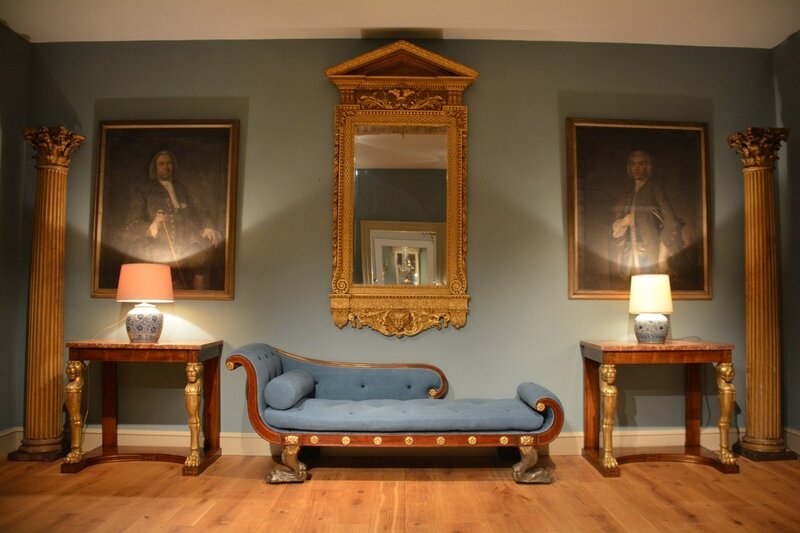 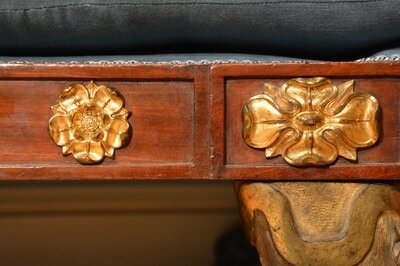 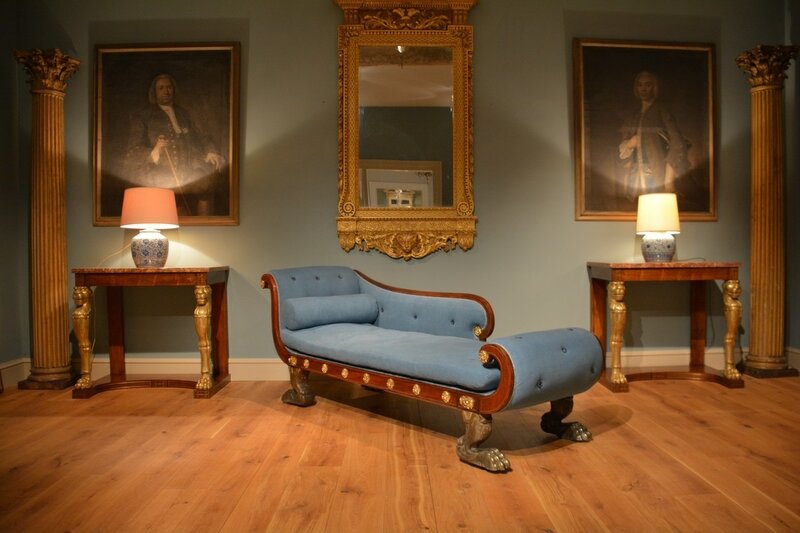 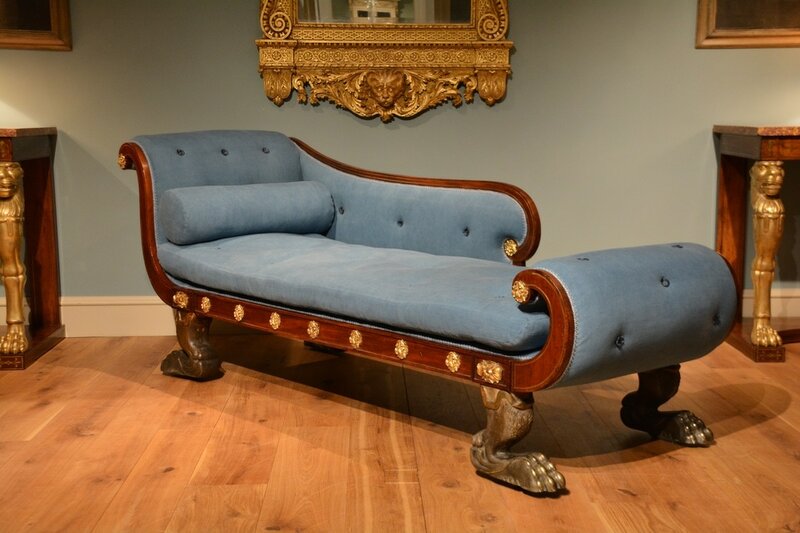 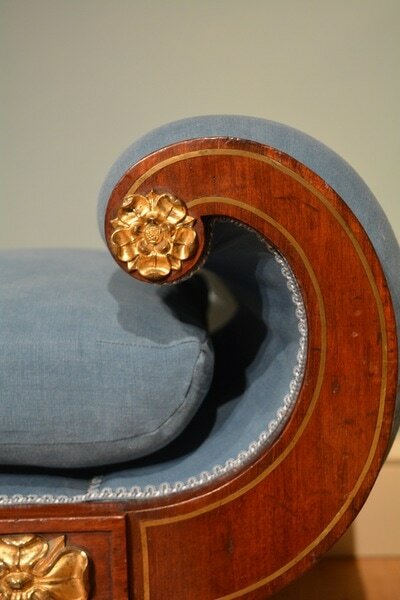 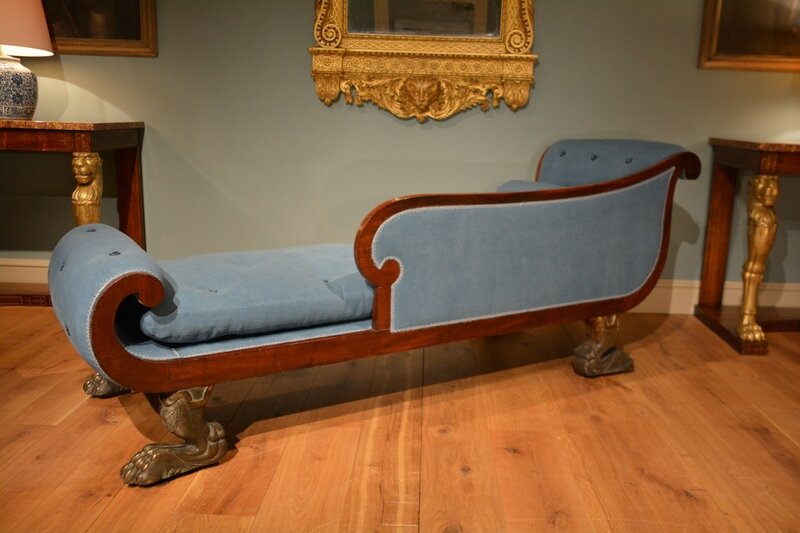 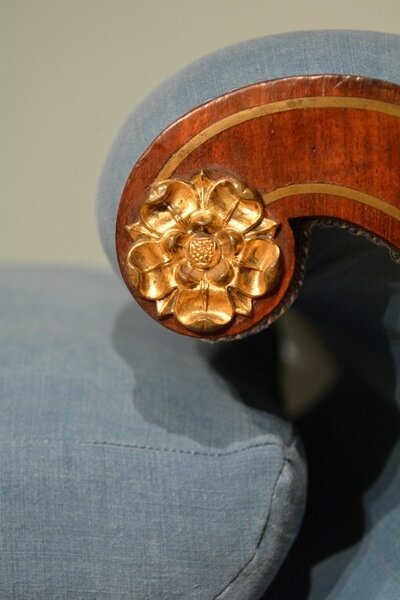 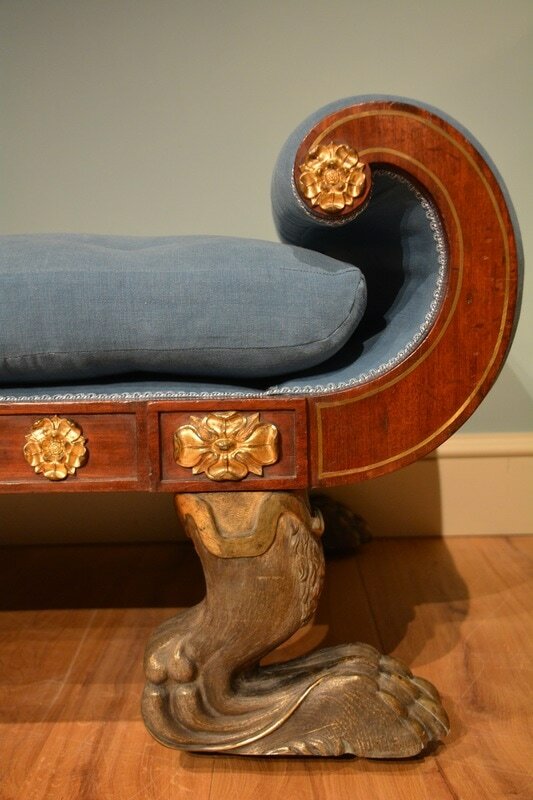 An imposing Regency mahogany scroll ended daybed, inlaid with brass stringing and enriched with brass rosettes. This piece has the rare feature of standing on brass animal legs and feet. Height 31.5" Width 87" Depth 28" Seat height 17.5"